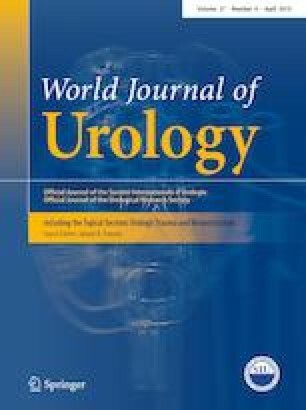 To investigate the risk factors for febrile genito-urinary tract infection (GUTI) in spinal cord injury-associated neurogenic lower urinary tract dysfunction (NLUTD) patients who perform routine clean intermittent catheterization (CIC) evaluated by urodynamic study (UDS) and cystography. Over a 3-year period, we retrospectively assessed risk factors for febrile UTI in 141 spinal cord injury patients diagnosed as NLUTD and performing routine CIC, regarding gender, UDS findings such as bladder compliance, maximum cystometric capacity, and cystography. A total of 41 patients had febrile GUTI in the follow-up period as along with 32 cases of pyelonephritis, 10 cases of epididymitis, and 1 case of prostatitis, including patients with multiple infectious diseases. The causative bacteria were Escherichia coli (14 cases) followed by Pseudomonas aeruginosa (n = 5), Klebsiella pneumoniae (n = 4), and Klebsiella oxytoca (n = 4). Antibiotic-resistant E. coli were seen, with 36.4% instances of extended-spectrum beta-lactamase production in whole of E. coli. Male gender (p = 0.018), ASIA Impairment Scale (AIS) C or more severe (p = 0.031), the number of CIC (p = 0.034), use of quinolones (p < 0.001) and severe bladder deformity (DG 2 or more, p = 0.004) were significantly associated with febrile GUTI occurrence. Our data demonstrated that male gender, severe bladder deformity (DG 2 or more), AIS C or more, the number of CIC, and use of quinolones were significantly associated with febrile GUTI occurrence in NLUTD patients employing routine CIC. Further prospective studies are necessary to define the full spectrum of possible risk factors for febrile GUTI in these patients. There is no external funding for this study.